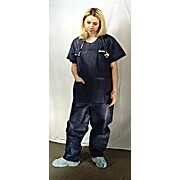 All scrub wear and coveralls are made of a durable spunbonded material and are latex free. 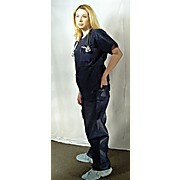 They provide a great alternative to a laundered scrubs. Dark blue, heavyweight spunbonded material is sewn and resists tears. A good substitute for reusable clothing.